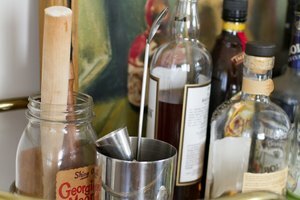 Memorizing bar drink recipes can be a daunting task, if unfamiliar with tending bar and mixing cocktails. Creating study aids and cheat sheets assists you in memorizing the ingredients and making an unfamiliar drink while behind the bar without having to ask for assistance from another bartender. Learning drink recipes is an important step in keeping up with the pace of the bar, particularly when having to serve bar customers and prepare drinks for servers. You can begin by memorizing traditional cocktail recipes or those typically ordered by patrons at your bar and progress to learning specialty and less frequently ordered cocktails and shots. Write the names of drinks and the corresponding recipes down on index cards to create flashcards. Alphabetize and file the drink cards, by name, in a rolodex. Study the recipes and keep the rolodex on-hand behind the bar to reference when necessary. Most bars supply tenders with a book or rolodex of drink recipes. Quiz yourself or ask a friend to quiz you. Write the definitions of drink ordering terminology so you know what a customer is referencing when requesting a drink dry, dirty, extra dirty, sweet, up, chilled, neat, on the rocks or with a twist. 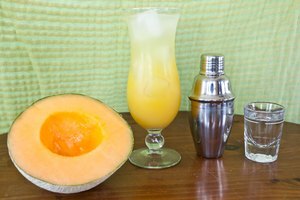 This helps you understand what ingredients or garnishes to add or eliminate from the drink. Ask a friend to quiz you on the terminology. 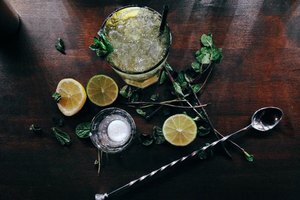 Study how to make popular cocktails that are ordered most often. These include martinis, Manhattans, cosmopolitans, margaritas, mojitos and Long Island ice teas. 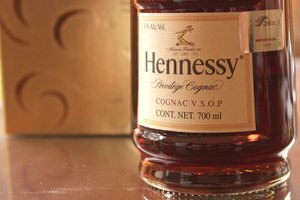 Bottle touch the corresponding ingredients to memorize how to create each drink. Learn variations on the standard martini by studying which flavored liqueurs, vodkas and juices to add to change the flavor for a specialty martini. Create a chart with seven categories. Write vodka, rum, gin, tequila and whiskey as the category headings. List three or more commonly ordered rocks drinks per base alcohol. Include white Russian, bloody Mary, screwdriver and seabreeze under the vodka heading. List Irish car bomb, Alabama slammer, seven and seven and whiskey sour under the whiskey heading. Write baybreeze, mai tai and melon ball in the rum section. Add Singapore sling, Tom Collins and gimlet within the gin area. Write tequila sunrise, margarita and bloody Maria. Study and learn the basic recipes. Add one recipe under each alcohol category to study each day. Include shots, frozen drinks and coffee-based alcoholic drinks. Taylor DiVico is a professional songwriter, content writer, fiction novelist and poet with more than 15 years of experience. DiVico holds a B.A. in philosophy from the University of Rhode Island and an M.S. from Syracuse University. What Drinks Do You Put Bitters In?